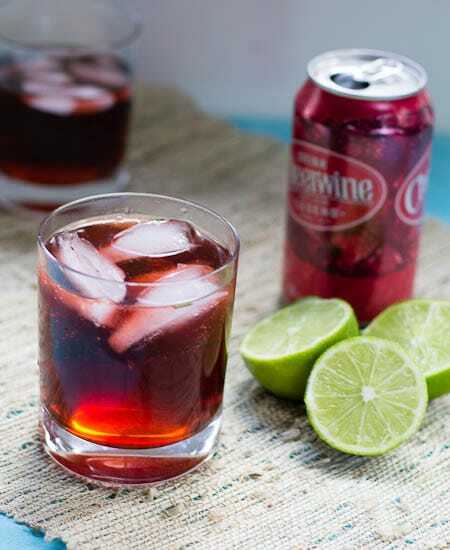 Cheerwine is a burgundy-red, cherry-flavored soft drink and for many southerners, drinking an ice-cold Cheerwine is an annual rite of summer. It’s extra sweet, smooth, and bubbly, like liquid candy on a hot summer day and is sometimes referred to as “The Nectar of North Carolina”. Cheerwine is best served really, really cold. Cheerwine was created not far from where I live, in Salisbury, NC in 1917. It is still a family owned and run company, the longest-running soft drink company to stay in family hands. Although Cheerwine is available in many more states than it was 15 years ago, it is still not widely available. Check cheerwinefinder.com to see if Cheerwine is distributed near you. You can also order Cheerwine through the company website. 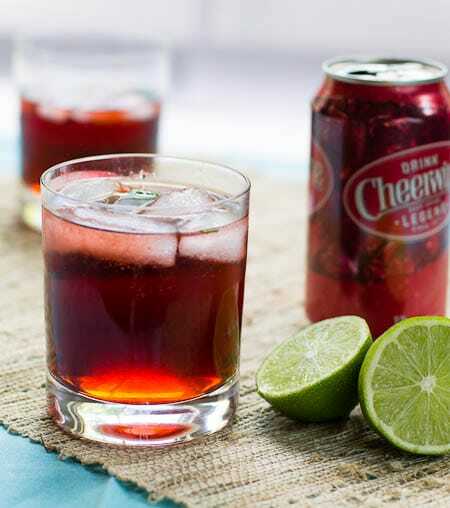 Cheerwine is delicious on its own in a glass full of ice, but it also makes a wonderful cocktail. 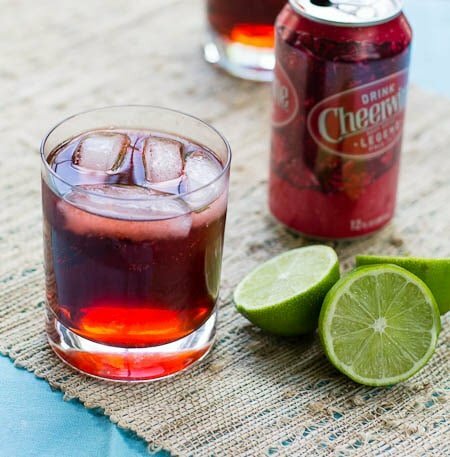 This recipe from The Lee Bros. Southern Cookbook: Stories and Recipes for Southerners and Would-be Southerners is a simple blend of Cheerwine, gin, lime juice, and seltzer water. The lime gives the drink a little zing, but it is still extremely palatable to those who favor a sweet cocktail. I used Cardinal Gin, one of my favorite gins, which is distilled in nearby Kings Mountain, NC- making this a totally Carolina drink! Fill a tall (14-ounce) cocktail glass two-thirds full with ice. Add gin and lime juice. Pour Cheerwine into the glass, top with seltzer water, and stir. This entry was posted in Cocktails and tagged Cardinal Gin, Cheerwine, southern recipes, The Lee Brothers. Bookmark the permalink.